Crybaby Matinee on Thursday, April 18! Family Matinee on Saturday, April 20! 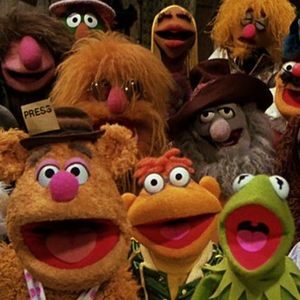 In the second live-action Muppets film, intrepid journalists Kermit, Fozzie and Gonzo snag an assignment reporting on a British jewel heist. Arriving in England, the trio settles in at the raucous Happiness Hotel and seeks out socialite Lady Holiday, the victim of the theft. Soon Miss Piggy appears, intending to work for Lady Holiday, but she ends up being framed by the aristocrat's scheming brother, Nicky. Kermit and company work to clear Piggy's name.